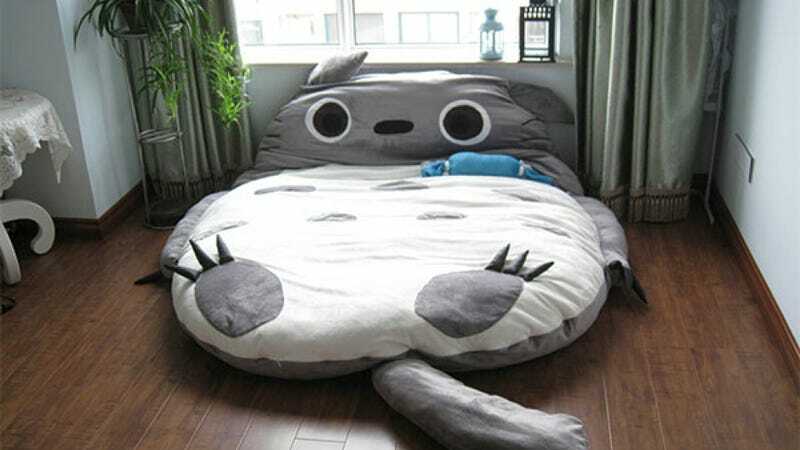 This insanely awesome Totoro bed is all over Tumblr for good reason. Who wouldn't want to be like the little girls in Hayao Miyazaki's iconic movie, who meet a giant-mouthed, friendly monster, and bounce on his big fuzzy belly for hours? If you want one of these for your own, you can find them on eBay.